Posted on December 15, 2006	by Linda S.
DH and I have been frequenting the local Hardback Cafe at Hastings and it has gradually become a coffee klatch for us. Several friends meet there and drink coffee in the afternoon and wouldn’t you know it is situated right in front of the magazine racks…and not just any magazine racks… the quilting, crocheting, scrapbooking, knitting, painting, doll making…..you get the drift… racks. It’s more than I can stand. 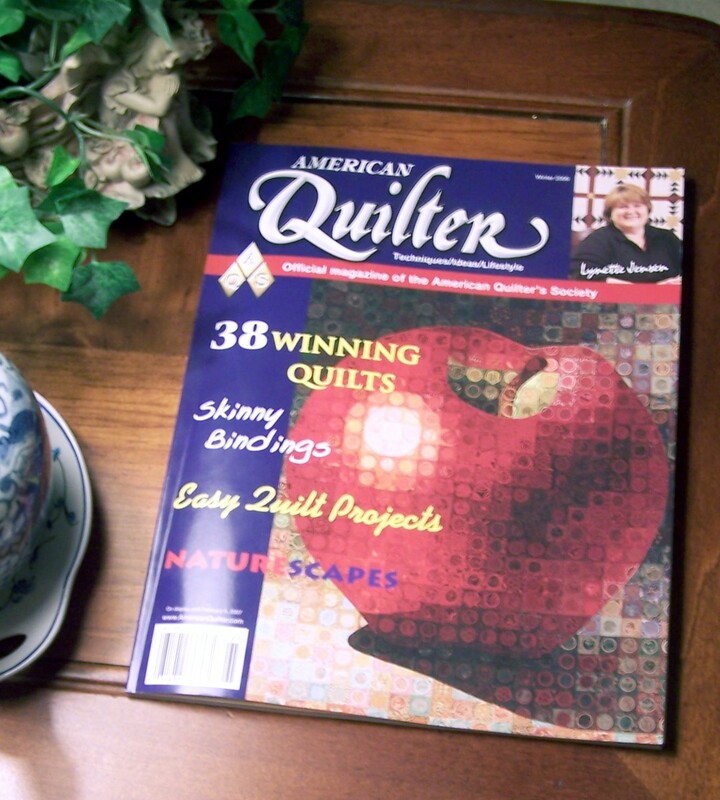 This American Quilter magazine is the official mag for the American Quilter’s Society and has some wonderful ideas in it. The landscape quilts inside are truly inspiring. Naalbinding continues to be one of my favorite things to do in the evening. 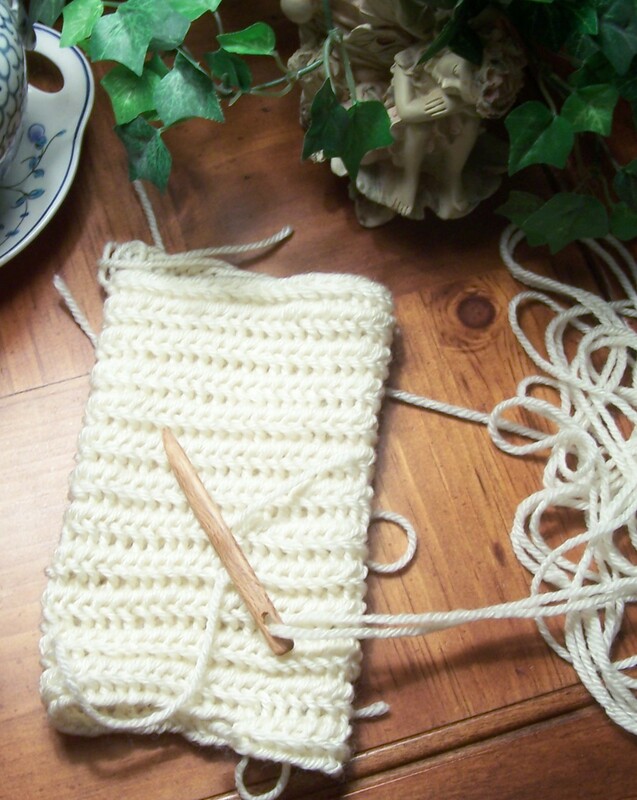 There is something about using the oak needle like a regular sewing needle and coming out with something that looks like crochet or knit. This will be another pouch when it is finished. This is done in what I still think is the Mammen stitch. This entry was posted in Historical Textile, Quilt. Bookmark the permalink.